I have been using Purex Crystals Scent Booster for quite some time now. It smells so good and it is long lasting! 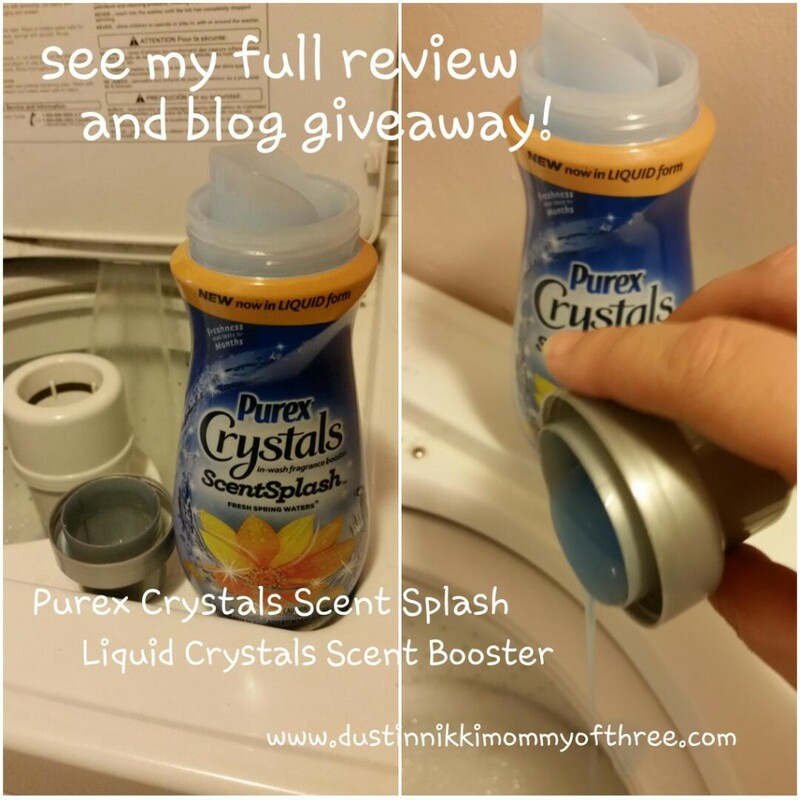 I recently received an opportunity to try Purex Crystals Scent Splash which is a new product that just hit stores this month. 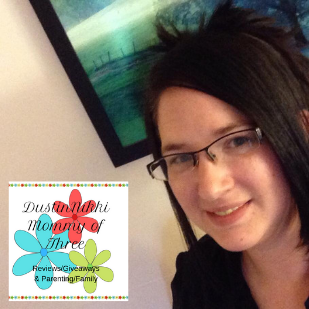 I am a Purex Insider and was sent a kit that included free full size product and to try and review along with some information and some free product coupons to giveaway so keep reading! 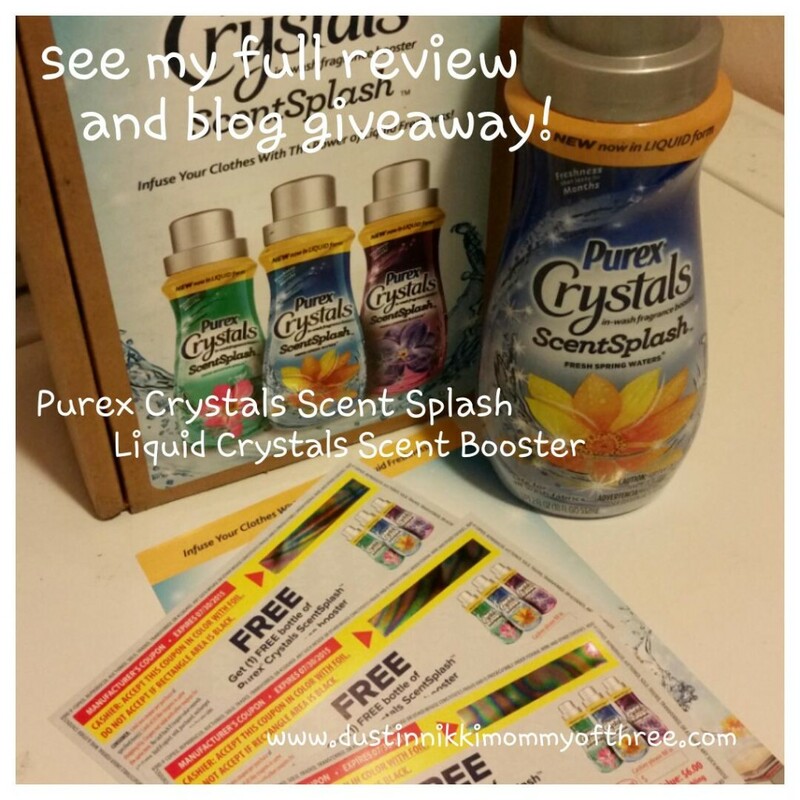 So what makes Purex ScentSplash different from the original crystals? Well, with this product, you don’t get the crystals. The crystals are actually in liquid form. Honestly I didn’t notice any difference between the crystals and the liquid. They both perform equally well. I guess the only difference really is that with the liquid, I am using less product in my wash. I use more if I am using the crystals. Of course that makes sense since you get 35% more loads than an 18oz bottle of the solid crystals. ScentSplash is also an 18oz bottle but you get more out of it than the solid crystals. 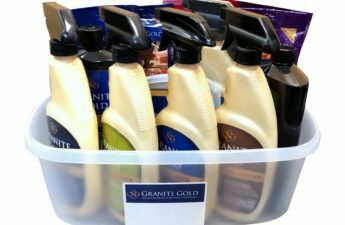 It’s easy to use, you just simply add it to your wash at the beginning of the cycle. 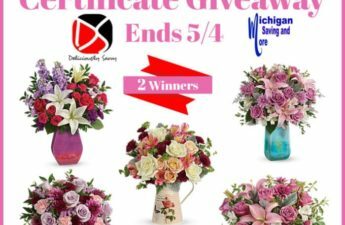 It works well with fabric softener and even if you are using a totally different scent of fabric softener, somehow the two different scents don’t interfere with one another. I’m not sure how it works out that way but it does. Actually, after I take my clothes out, all I can smell is the ScentSplash. Keep in mind, this is not a fabric softener. It is a scent booster. However, I have used it with and without fabric softener and I have noticed that depending on the type of clothes, I really don’t need to use a fabric softener. Things like t-shirts, towels, and sweatshirts come out like I did use a fabric softener when I didn’t and only used the ScentSplash. Now if I am washing thing like jeans, I still need to use a softener. They aren’t kidding when they say the scent lasts in your clothes for months. I have some clothes that I only wear every once in a while. I have been using the liquid form for about 3 weeks and I can honestly say, I have clothes in my closet or drawer for 2-3 weeks and they still smell like I just pulled them out of the dryer. Now it hasn’t been months yet with this product but the solid crystals scent lasts that long so I am pretty confident the liquid form will too. Now while you are wearing your clothes, the scent will obviously dissipate (depending what you are doing such as being outdoors, working out, etc.) but I can still faintly smell it at the end of the day when I change my clothes. The scent that I received was Fresh Spring Waters. It isn’t a really strong overpowering scent that you are going to get annoyed with. It is powerful enough to last but not in a way that it irritates me. It’s a clean, fresh scent and I absolutely love it. Who doesn’t like wearing a shirt that’s been hanging in the closet for almost a month that still smells as good as the day it was taken out of the dryer? It’s so awesome! 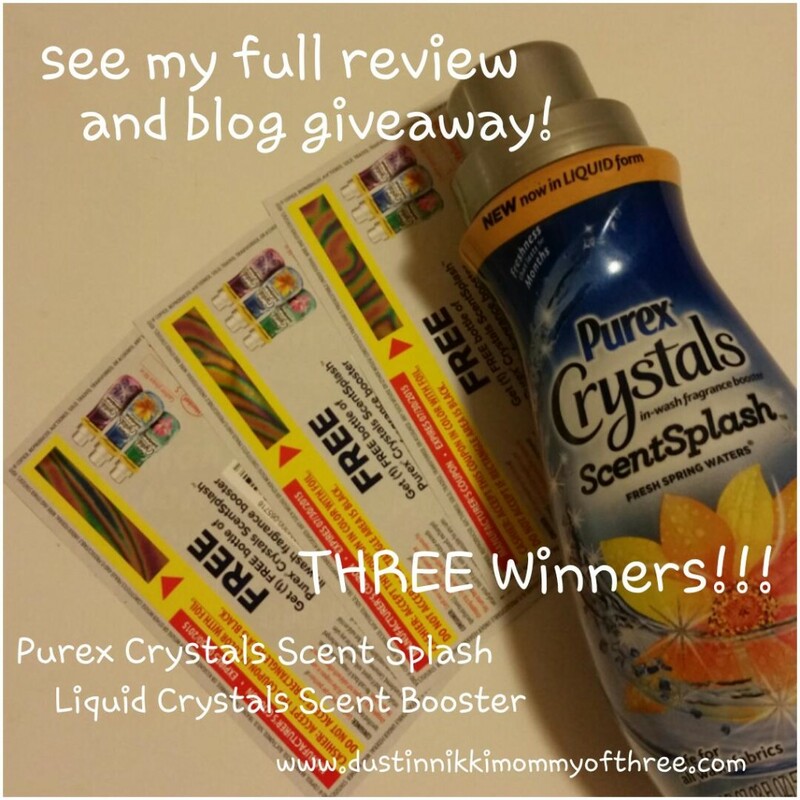 (3) THREE of my lucky DustinNikki Mommy of Three readers will win a coupon for a FREE bottle of Purex Crystals ScentSplash! These coupons do not expire until July 30, 2015. Disclaimer: I was not compensated for this post however, the Purex brand provided me with a free product mentioned in this post in exchange for my use/review and blog post. All opinions expressed in my review are 100% my own. I would love to try the new powershot purex bottles. I love how thee make our clothes smell!! Love it!! Easy to usetoo. I also want to try out the PowerShot detergent. 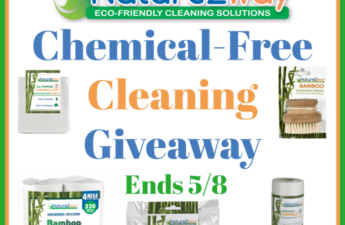 I have never tried any of the laundry boosters, thank you for hosting this giveaway, I would like to try the Fresh Spring Water scent! I think I’d like the way it leaves my laundry scented. I use Purex Crystals in every load, so it’ll be a real treat to give this a try! My favorite is Purex Crystals for baby. I’m completely addicted to that scent! I would love to try for all the different fragrances. We tried the crystals and loved them! I’ve never heard of this one before. I’ve only used the regular crystals. I’d love to try the Purex UltraPacks Detergent. Never tried this, would like to give it a shot! I really like the different scents. I have used the Purex UltraPaks and really like them. I would love to try this product as sometimes my wash does not come out as sweet smelling as I would like. Especially sweaty shirts or stinky towels. I would like to try Purex2 Stain Fighter & Bright Booster laundry detergent enhancer. I have not used this Purex product, but I think I will try it. I like the idea of a long lasting scent on washable items.